Welcome to Life at Benchmark. Explore the stories shared by, families, people, innovators and leadership that add a spark that light up our community. 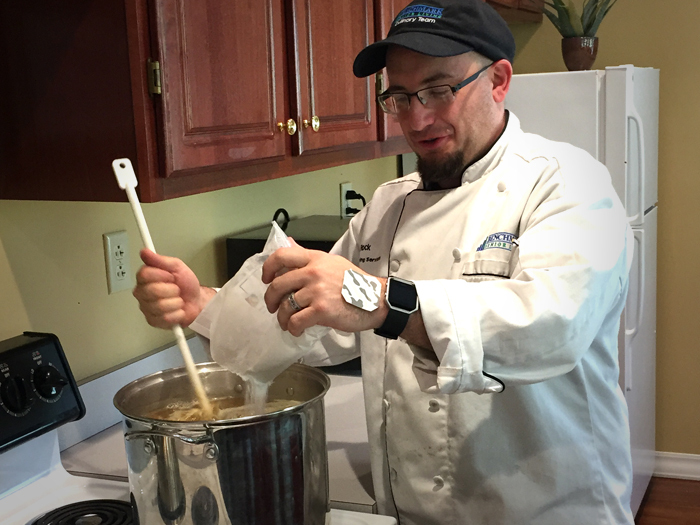 Five thousand years after beer was born in the Zagros Mountains of Iran, the brewing tradition continues at The Village at Buckland Court in South Windsor, Conn., where Mike Rock, Dining Services Director and avid homebrewer, recently assembled a group of residents to brew a batch of beer for Father’s Day. After learning the basics, the residents – all men – joined in the brewing process while making Tim Allen’s Home Improvement grunt. 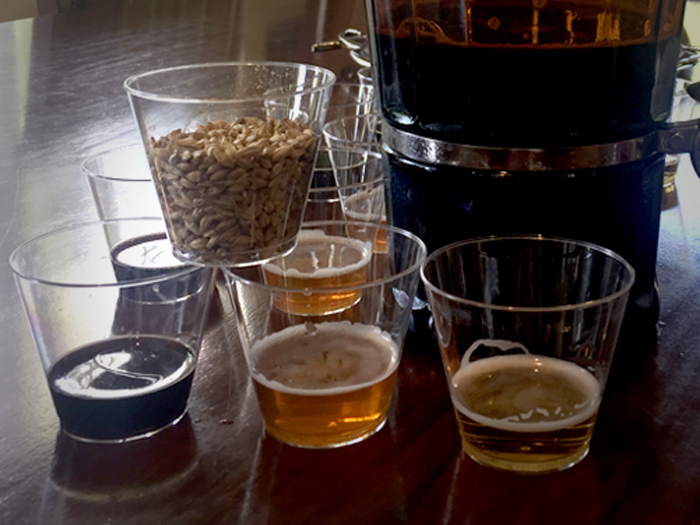 At the Buckland Court Father’s Day brunch on June 18, every man will receive a six-pack of their brew, named “Pure Sole” because it smelled like shoes while brewing. Before joining us at Benchmark on New Year’s Day, Mike owned his own restaurant named “Stir the Pot.” He’s the proud father of three boys, plays hockey and enjoys camping. As a homebrewer, his greatest achievement is a killer Double IPA with a nice touch of pineapple. If you’ve got 15 minutes, Mike invites you to watch this compilation of every grunt (662) from all 203 episodes of Home Improvement.